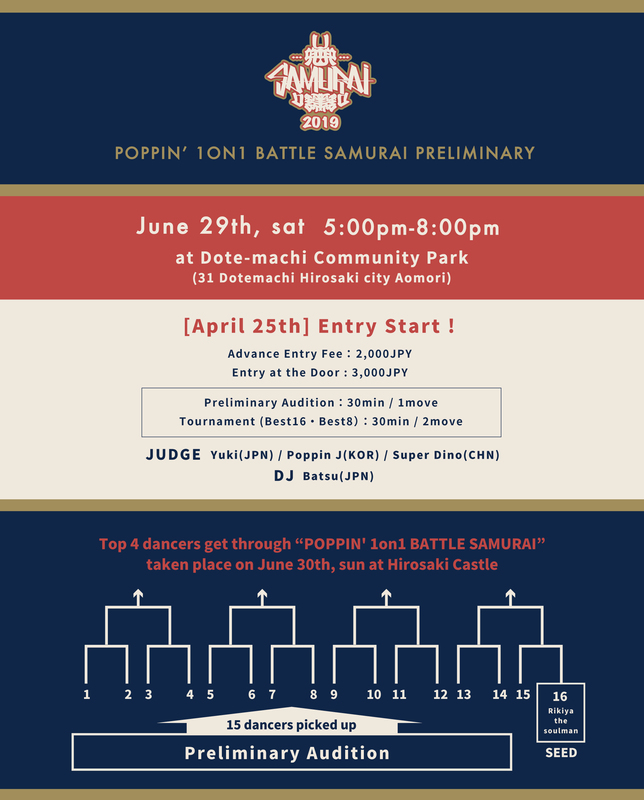 In this preliminary, Top 4 dancers get through “POPPIN' 1on1 BATTLE SAMURAI” taken place on June 30 sun at Hirosaki Castle !! April 25th Entry Start !! Please Entry from the web site “ENTER THE STAGE” after April 25th. Be sure to set up your e-mail to receive the message from “info@et-stage.net”. Top 4 dancers get through “POPPIN’ 1on1 BATTLE SAMURAI” taken place on June 30th, sun at Hirosaki Castle ! !